"All you hear is a big BOOM!" Gun violence has impacted my life and my loved ones. I shouldn't have to fear for my life in school, nor should I fear walking around my neighborhood. I'm too young to vote, so it's very important to me that those of you who are old enough do go to the polls and impact the political process. 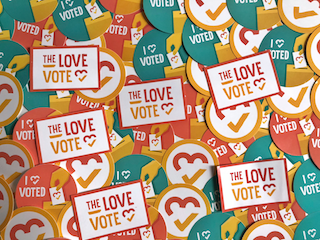 Show Aicha love + inspire others + get voting info + get event invites + get stickers + create change!